At McCabe & Mack LLP, we take pride in our ability to address nearly any legal matter that confronts our clients. 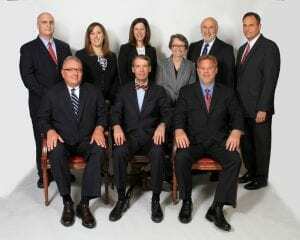 Our attorneys have decades of experience and diverse backgrounds, enabling us to assemble the right team without having to go to outside counsel or experts. Many current law firms do not date back even to the 20th century, let alone the 19th century! 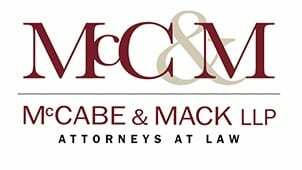 McCabe & Mack LLP traces its roots back over 120 years to the pioneering law practice of John E. Mack. We have grown and evolved into a full-service firm that can readily address the needs of individuals, businesses and institutional clients. Our areas of practice are diverse and comprehensive, including estate planning, criminal defense, business counsel and litigation, insurance defense, banking and lending, and real estate and development, among many more. The size of our staff and breadth of our experience enable us to put together the right team for any client's matter. The founders of our firm were great believers in public service, shaping policy and giving back to the community. That tradition continues today. Our attorneys and staff are active leaders and members of many local organizations. Our attorneys have also earned the respect of their professional colleagues, as reflected by many accolades such as the AV* rating from Martindale-Hubbell and Super Lawyers designations. Several members of our staff have been with the firm for 40 years, and some clients have been with McCabe & Mack longer than that. Our accomplished legal team includes two retired justices. 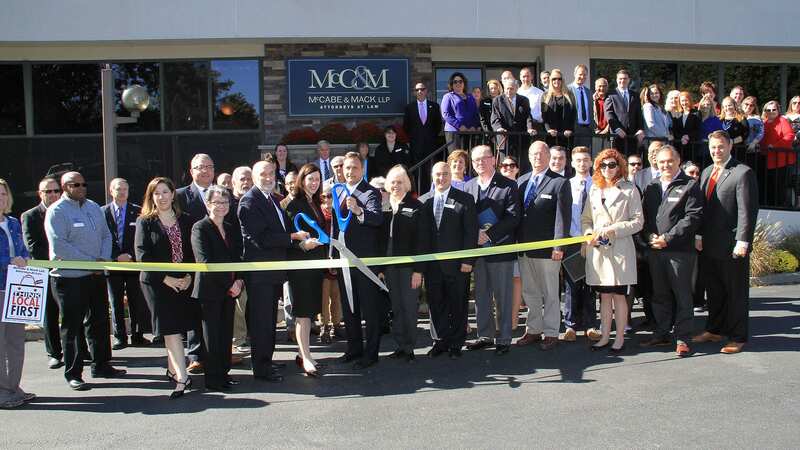 McCabe & Mack LLP is located in Poughkeepsie, and we also regularly represent clients in the surrounding counties and statewide. *AV Preeminent®, AV®, BV Distinguished®, and BV® are registered certification marks of Reed Elsevier Properties Inc., used in accordance with the Martindale-Hubbell certification procedures, standards and policies. Martindale-Hubbell is the facilitator of a peer-review rating process. Ratings reflect the anonymous opinions of members of the bar and the judiciary. Martindale-Hubbell Peer Review Ratings fall into two categories – legal ability and general practice standards.